SURPRISE, Ariz. – America’s fastest growing public homebuilder for the past two years according to Hanley Wood, AV Homes, has purchased 18 acres in the West Valley for Sunleya, its newest new home community for all ages. Sunleya will feature 85 homes targeting first-time and move-up homebuyers. Close to Loop 303, Sunleya will provide easy access to jobs, shopping, entertainment and recreation with nearby Lake Pleasant. There will be four unique floor plans to choose from with flexibility to accommodate individual lifestyles. Models are scheduled to be available this fall. AV Homes first introduced itself to Arizona in 2010 and has quickly earned its reputation as a major Valley builder with 10 active communities Valley wide. Builder magazine rates AV Homes an “A” for financial sustainability and stability in its 2017 Public Builder Report Card. “From 2014 to 2016, AV Homes, No. 24 on the BUILDER 100 list, placed first among the faster-growing public builders with 158.66 percent growth, from 953 units closed in 2014 to 2,465 in 2016,” states Builder. AV Homes is a homebuilder engaged in the business of homebuilding and community development in Florida, the Carolinas and Arizona. Its principal operations are conducted near Jacksonville and Orlando, Fla., Phoenix, Ariz., and Raleigh and Charlotte, N.C. The company focuses on the development and construction of (i) primary residential communities, which serve first-time and move-up buyers, and (ii) active adult communities, which are age-restricted to the 55 and above adult demographic. 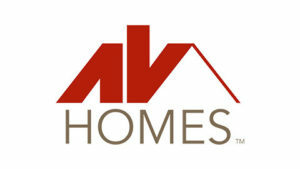 AV Homes common shares trade on NASDAQ under the symbol AVHI. 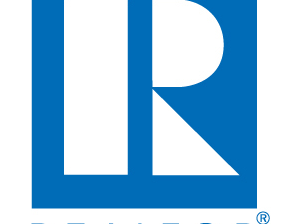 For more information, visit AVHomesInc.com. It’s great to know that the building industry is booming here in Surprise Arizona. And having the Sunleya to have a building project here will open more job opportunity to the people. Thank you for sharing this information.